Still the Same White House Agenda. Gary Bauer, Contributing Author: Today is Friday the 13th and this is the last scary weekend before Tax Day, a day millions of Americans dread. With taxes front and center over the next few days, I thought this would be a good time to address them. Taxes are already a big issue, thanks to Obama's proposed Buffett rule. How much should people pay? What is fair? What is necessary? How much government can we afford? These important questions are debated every four years. For some liberals, the 30% Buffett rule is just a minimum starting point. Robert Reich thinks tax rates should go up to at least 50% and perhaps as much as 70%! But the issue will only get bigger as we approach the Election Day because your tax bill is set to explode like a time bomb. On January 1, 2013 the Bush tax cuts automatically expire, and the impact of this "tax bomb" will be devastating to many families. Many liberal Democrats want all of the Bush tax cuts to expire. They are furious that Obama, under pressure from congressional Republicans, renewed them for two years at the end of 2010, even though we were in the middle of the Great Recession. We're still not out of the woods yet, and most economists aren't predicting stronger growth until 2014 or later. 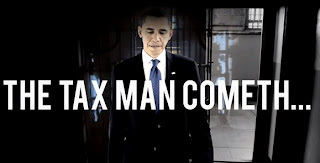 But given Obama's unwillingness to cut spending, evidenced by his trillion-dollar deficits each and every year of his administration, he will be under enormous pressure from his party not to compromise again and simply let these massive tax hikes take effect. 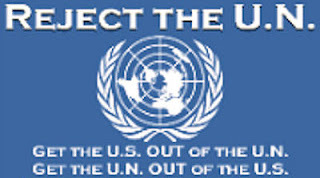 Should Obama be reelected -- (insert scream here) -- he will be free of any fear of a ballot box backlash. 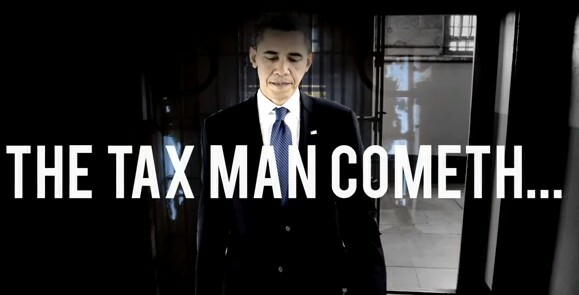 In short, the best way to prevent a massive tax hike on January 1, 2013, is to defeat Barack Obama and elect a conservative majority to the United States Senate on November 6, 2012. The bottom 10% tax bracket would go up to 15%. The 25% tax rate would go up to 28%. The 28% rate would go up to 31%. The 33% rate would go up to 36%. The 35% rate would go up to 39.6%. The per child tax credit would be cut in half from $1,000 to $500. This would hit working families especially hard. The capital gains tax would increase from 15% to 20%. On top of this would be another 3.8% increase as part of ObamaCare tax hikes. The tax on dividends would go from 15% to ordinary wage rates, perhaps as high as 39.6%. The "marriage penalty" would return. The death tax, currently 35% with a $5 million exemption, would jump to 55% with only a $1 million exemption. According to the Heritage Foundation, if the Bush tax cuts are allowed to expire in 2013, taxes will go up nearly $500 billion. That's $500 billion sucked out of the private economy so Obama can "invest" in wasteful boondoggles like Solyndra. But that's not all. Remember Nancy Pelosi's infamous quip, "We'll have to pass [ObamaCare] so you can find out what's in it?" Well, if ObamaCare remains in effect, there is an additional $500 billion in new taxes baked in there too! I suspect you have many friends who really don't care about politics and don't even bother to vote. Share this report with them. Politics affects everything, including our standard of living through how much of our hard-earned money big government takes away in each paycheck. And Barack Obama wants to take even more. Of course he'll say he only wants to take it from rich guys like Warren Buffett. But Buffett is not rich enough and there simply are not enough Warren Buffetts out there to pay for all the spending Obama and his liberal socialist allies are demanding. Watch this video, "Eat The Rich" to see for yourself. Eventually, the tax man will come for you. Tags: Gary Bauer, Campaign for Working Families, Taxes, April 15, Barack Obama, Democrats, Tax Man Cometh, RNC video Soak the rick, tax the rich, income redistribution, social benefits, US is broke, spending, Federal spending, government spending, Obama spending, more taxes, new taxes, embedded taxes To share or post to your site, click on "Post Link". Please mention / link to the ARRA News Service. Thanks!